Twisted Fish has very quickly established himself in the music industry as a radio, club & festival DJ and as a House Music Producer. With his unique style of chunky house vibes, filled with a twist of old school house piano, strings and vocals his sets deliciously blend old and new, underground, current and classic vibes delivering uplifting and crowd pleasing sets with vocal journey and deep driving bass lines. Playing at venues across London & the South East, Twisted Fish has shared the decks with Hoxton Whores, Jess bays and Roger Sanchez to name but a few. 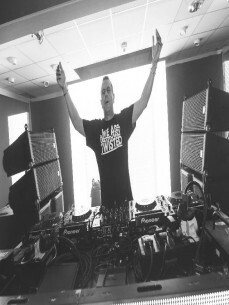 Twisted Fish has played at venues such as Ministry of Sound in London, festivals such as City Sound Project in Canterbury and of course Wheels and Fins for the last two years and is known for his incredible closing set at Wheels and Fins 2016. Influenced at an early age with Motown, Funk, Soul and Disco, TwistedFish soon fell in love with Chicago & Detroit House Music and its no surprise to hear this influence in both his sets and with his music production today.